PreK Before School Care opens at 7:00 am and is supervised by our PreK teaching team on a rotating schedule in the downstairs PreK classroom. 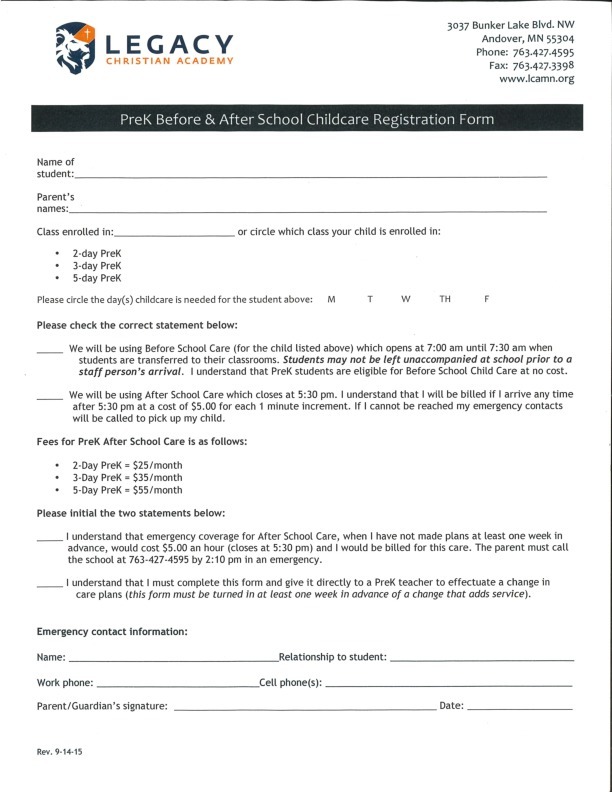 PreK After Care is also housed in the downstairs PreK classroom, but is supervised by Mrs. Kim Beedle. All students must be picked up from After Care by 5:30 pm.